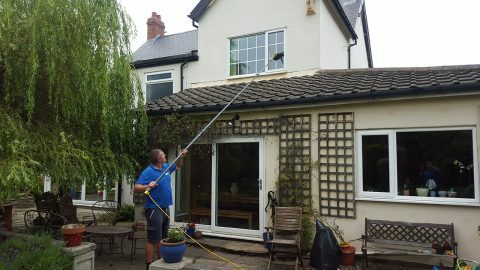 Window cleaning can be tedious and frustrating, not to mention time consuming and dangerous. That’s why it makes good sense to use a professional window cleaner like Extreme Clean. With more than 15 years experience in window cleaning, we’ve got it down to a science, and we know you will like the results. At least, that’s what we hear from our hundreds of satisfied residential and commercial window cleaning customers. We cover all areas of Tyne and Wear and the surrounding areas, including South Shields, Jarrow, Hebburn, Gateshead, Newcastle, Sunderland, Washington, North Tyneside, Northumberland and Durham. 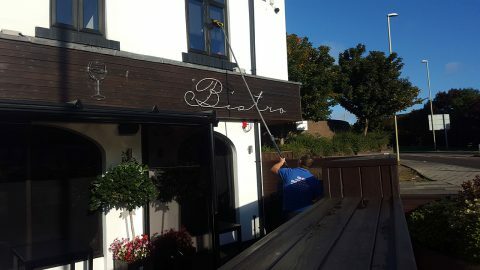 Our staff undertake all aspects of window cleaning for both domestic and commercial customers, from residential homes to retail outlets, pubs and restaurants to commercial offices. We can clean virtually any building up to 65ft high from the safety of the ground using our ladderless water-fed pole system. Work is constantly checked to ensure our high standards, which we expect at all times, are maintained. Contact us now for a free survey and quotation.